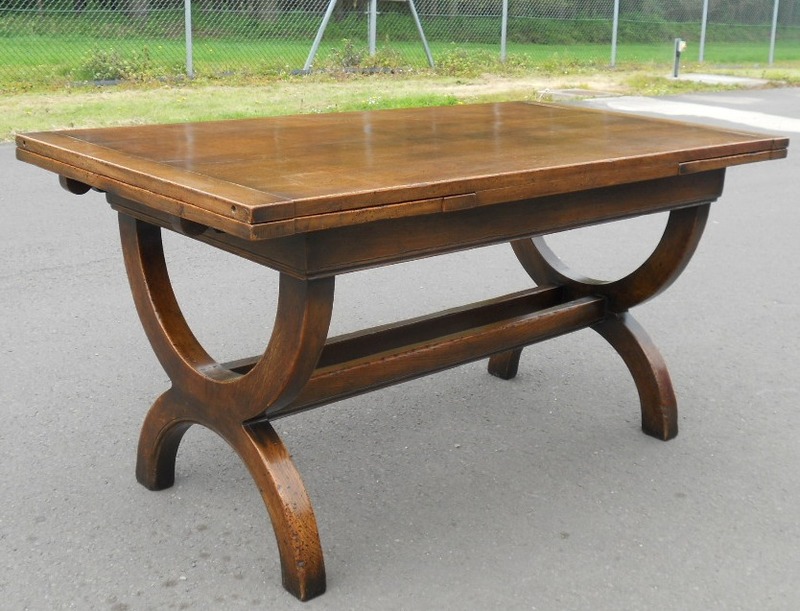 Good heavy quality solid oak extending dining table with antique Tudor style base and having a set of six matching carver armchairs with later upholstered studded edge seats and backs. Table having easy opening side leaves when required forming a larger table surface with original polish finish. Chairs are comfortable and sturdy, fabric and tassled edges are in good all round condition. No rips or tears. 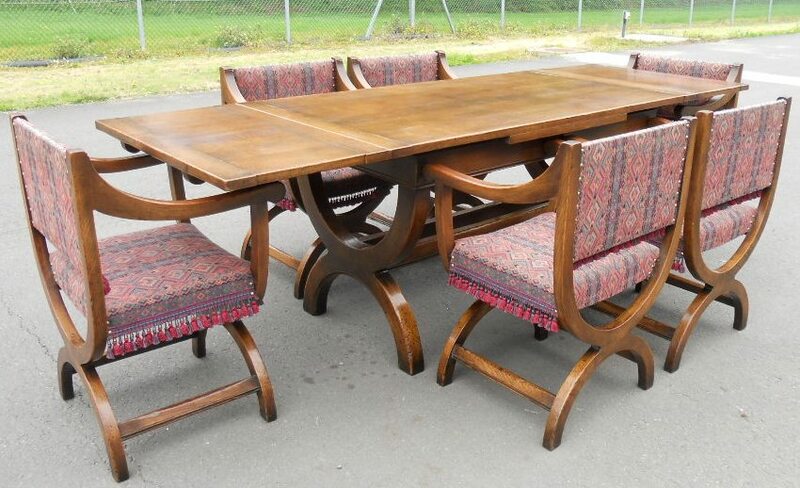 This unusual dining room group is in good condition throughout.